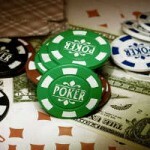 All Poker games use a customary 52 card deck. The four different suits carry no advantage over each other and are equal in weight. The following are the official poker hand rankings in descending order. We have included the probability of being dealt each hand in brackets. The highest ranking hand is the royal flush-A, K, Q, J, 10 in the same suit. There are only four ways that this hand could be made with hearts, diamonds, clubs and spades. Before you participate in a poker tournament its important to check the hands before you play. The hands are ranked in a set order. The more difficult a hand is to achieve, the higher its ranking. Each type of card is also ranked to the value of the cards. The highest value of cards are aces and the lowest are twos. The cards are ranked in the following descending order: A, K, Q, J, 10, 9, 8, 7, 6, 5, 4, 3, 2. The suites do not affect the ranking, so if two players both have a royal flush, one with hearts and one with spades, the hands will tie. But, if you play in a private game, you may find that players introduce their own rules that rank suites differently. Before you play always check the rankings. 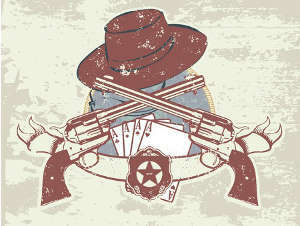 The best hand in Poker – comprising of Ace, King, Queen, Jack and Ten of the same suit. There are only four ways that this hand can be made, with hearts, spades, diamonds or clubs. If you are dealt this hand, this is the highest ranking hand and you cannot be beaten by any other player. The only other possibility is that another player also has a royal flush which will then be a tie. Five cards in consecutive numerical order and all the same suit. The higher the numerical value of cards the better the hand. If two players both have a straight flush, the player with the highest card wins so Kc, Qc, Jc, 10c, 9c beats Qh, Jh, 10h, 9h, 8h. If two players both have the same straight flush with different suits, the hand is a tie and the pot is shared. Four cards of the same rank, for example four Queens. The higher the numerical value of the cards the better the hand. Four of aces is the highest four of a kind hand, it beats four kings. A combination of a pair of cards of the same rank and three cards of the same rank. The Three of a Kind counts first, so a Full House of Tens full of Queens (10,10,10 + Q,Q) beats a Full House of Queens full of Tens (Q,Q,Q + 10,10). If two players both have a full house, the hand with the highest value for the three of a kind wins. So, 10, 10, 10, 2, 2, beats 8, 8, 8, A, A. A flush is a run of five cards of the same suit in any numerical order. Where two players have a flush, the one with the highest card wins. So, Js, 8s, 6s, 5s, 3s would beat 9d, 8d, 6d, 5d, 4d. A straight is five cards of any suit in consecutive numerical order. A, K, Q, J, 10 is the highest straight followed by K, Q, J, 10, 9. If two players both have a straight, the hand with the highest card wins. Three of a kind also known as trips, is three cards of the same numerical value with two other cards. 8h, 8 d, 8c, 7d, 5c would beat 4d, 4c, 4h, Ad, Kh. Two pair is two sets of pairs (two cards with the same value) with any other hand. Where two players both have two pair, the vaue of the highest pair decides the winner. A, A, 3, 3, 2 would beat 5, 5, 4, 4, 2. If both players have the same two pair, the value of the fifth card decides the winner. K, K, Q, Q, 8 would beat K, K, Q, Q, 7. If two players have cards of the same value, it’s a tie and the pot is shared. One pair is two cards of the same value with three other cards of different values. A pair of queens would beat a pair of jacks. If two players have the same pair, the hand with the highest value other card wins. A, A, 10, 7, 5 would beat A, A, 9, 7, 5. If all cards have the same value it’s a tie. Where none of these hands are held, the winner is the player with the highest card. In a showdown, a hand containing an ace would beat one with a king and so on. Qh, 10h, 7d, 3s, 2c would beat Jd, 10s, 4c, 3h, 2s.